Are you as a TINYpulse administrator looking for better ways to close the feedback loop with employees? How about doing a better job celebrating wins? Celebrating wins should be a critical component to any employee engagement program. 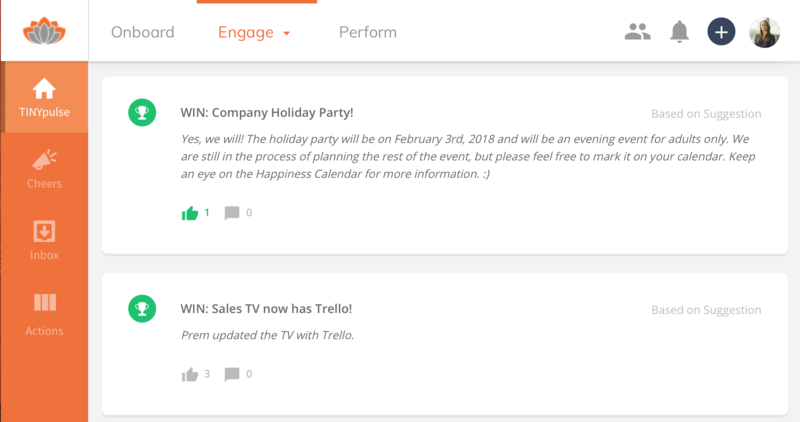 Employees take the time out of their day to give feedback through TINYpulse, you're diligently addressing all feedback as an administrator, but are you celebrating the positive change that comes as a result of TINYpulse with Wins? 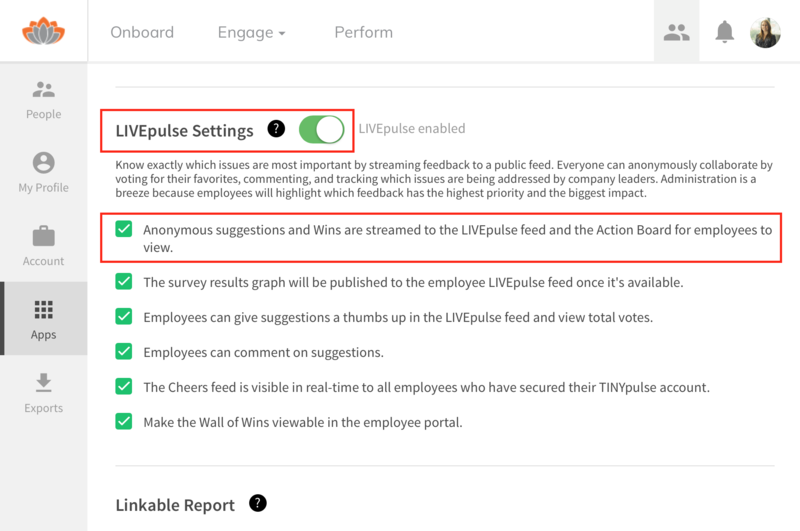 The TINYpulse Wall of Wins can be shared by URL or displayed on a TV in your office, but the best way to share wins with employees is to stream them to the LIVEpulse feed. This lets employees see the Win directly from their employee portal and they can even "like" their favorites and enter positive comments. Take a moment to enable the LIVEpulse feed to highlight positive change at your organization and close the feedback loop more effectively. Go to Settings -> Apps -> LIVEpulse Settings and you have two options to stream both Wins and suggestions to the LIVEpulse employee portal. Enable all LIVEpulse features with the main toggle at the top. All LIVEpulse features enabled by this switched are listed below. Enable the LIVEpulse feed to stream both suggestions and Wins to LIVEpulse. Note that enabling the feed includes streaming both Wins and all anonymous suggestions. Unfortunately, you can't stream only Wins without suggestions at this time, but you can make the Wall of Wins visible in LIVEpulse if you aren't interested in full transparency that LIVEpulse provides. Check out this article for more information about publishing the full Wall of Wins in LIVEpulse.